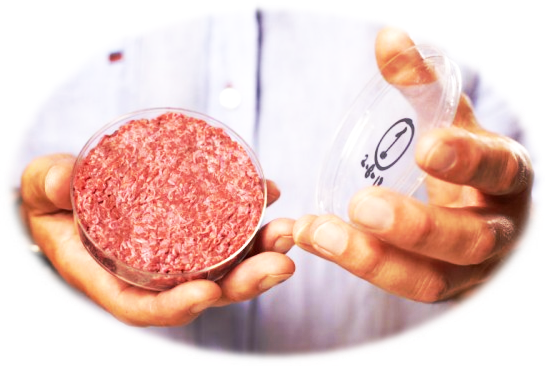 I don't know whether you read it or not, on 14th march 2012 we featured an article that scientist are experimenting on bio technology stem cells in order to create a artificial meat for Hamburgers. Now the dutch scientists revealed their success news regarding Test Tube Burger project. Scientists used multiplication of stem cells process to create artificial meat for Hamburgers. Summary: they took muscle cells from two ecological farm cows. Then they apply multiplication process to grow cells in laboratory to form small strands. Once strands reached to a total of approx. 20,000 they compacted them for a meat for hamburger. This process took 6 weeks to complete and cost them around $330000 USD. So, you can say it is world's most expensive meat for hamburgers. Some food experts also tasted it and according to them this fat free burger meats taste is close to real beef. As in coming future expert expecting artificial shortage because of food misuse and evil minded businessman's. So is in future we will see an addition of meat factories in food factories chain? For it my answer would be NO seems at-least not possible before 20 years. Will it get popularity among people? Yes obviously, this costly meat for hamburgers will surely get popularity. But there is another thing that Will people accept it or not? At-least I would not.